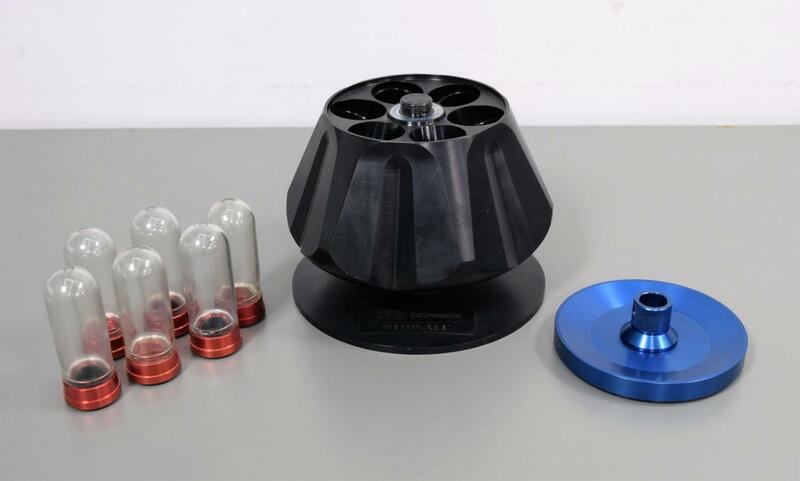 Sorvall A-641 Centrifuge Rotor 41000 RPM w/ Polycarbonate Bottles 75mL & Caps . New Life Scientific, Inc. This rotor is in excellent condition. This A-641 is the only complete rotor on eBay including the rotor, rotor stand, lid and six Polycarbonate 75mL bottles with screw-on caps. Our technician didn’t have a centrifuge to test the rpm of this rotor but are confident that it does work. It is in great cosmetic condition. The manufacturer’s specs are 41,000 rpm for this rotor.